Wherever you look in vibrant and captivating Spain, you’ll find the perfect backdrop for your destination wedding. This land of passion and history, stunning landscapes and breathtaking beaches is the ideal choice for the adventurer and the romantic. Our guide to your destination wedding in Spain and its islands will make planning your perfect day muy fácil! Spain is easy to access from airports around the UK, by ferry to San Sebastian and by Eurostar and high-speed train, making it the perfect destination for your European wedding in the sun. The international airport in Madrid is one of the largest hubs in Europe, with regular inbound flights from the US, Asia and Australia. The beautiful thing about Spain as a wedding destination is that there really is a perfect venue for every couple. Nature lovers will head for the wild and breathtaking scenery of the Basque country with its hiking and biking trails, while Barcelona is always destination hip for those who prefer the city lifestyle. For a uniquely beautiful wedding against the backdrop of the Sierra Nevada, Grenada is unlike anywhere else in Spain with its blend of ancient and modern. 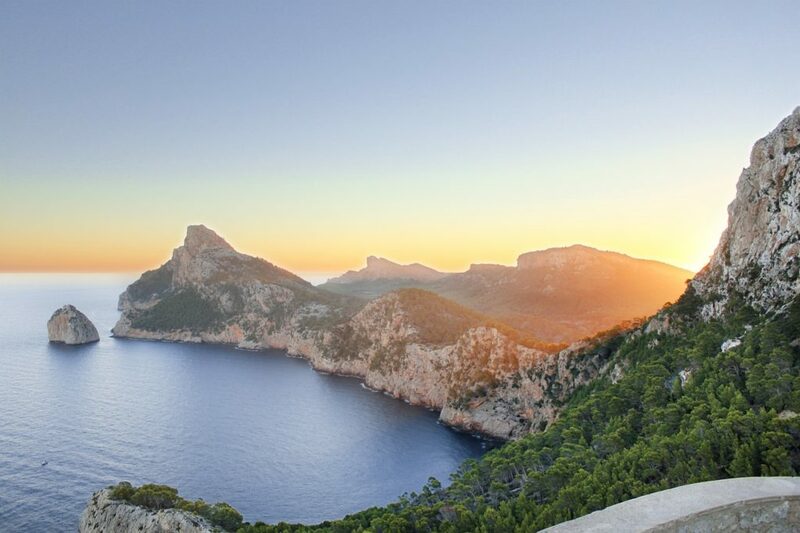 And if picture postcard perfection is more your style, try Mallorca where you can take your pick of stunning venues on this beautiful island. One of the best things about a destination wedding is that it gives you the opportunity to bring friends and family together in a unique setting of laid back luxury. That’s why Spain is becomingly increasingly popular for destination weddings as you’ll enjoy the opportunity to truly unwind and enjoy la buena vida, making for a stress-free wedding. There can be challenges to planning a destination wedding in Spain, not least the difficulty finding reliable suppliers for your wedding. Opt for a venue with an experienced destination wedding planner to ensure that everything runs smoothly when you can’t be hands-on yourself. For a truly unusual venue – especially if you or your partner love Game of Thrones – La Ermita de San Juan de Gaztegulatxe stands on a tiny island connected to the mainland by a narrow bridge. You’ll need to climb 241 steps to the 10th-century chapel itself but the venue is spectacular and the views simply magical, especially at sunset. Look for accommodation in nearby San Sebastian with its surf, sun and Michelin-starred restaurants. Barcelona is one of the most vibrant and exciting cities in the world, and Catalonia is famous for its spectacular rural weddings celebrated in the old stone farmhouses or masias of the region. 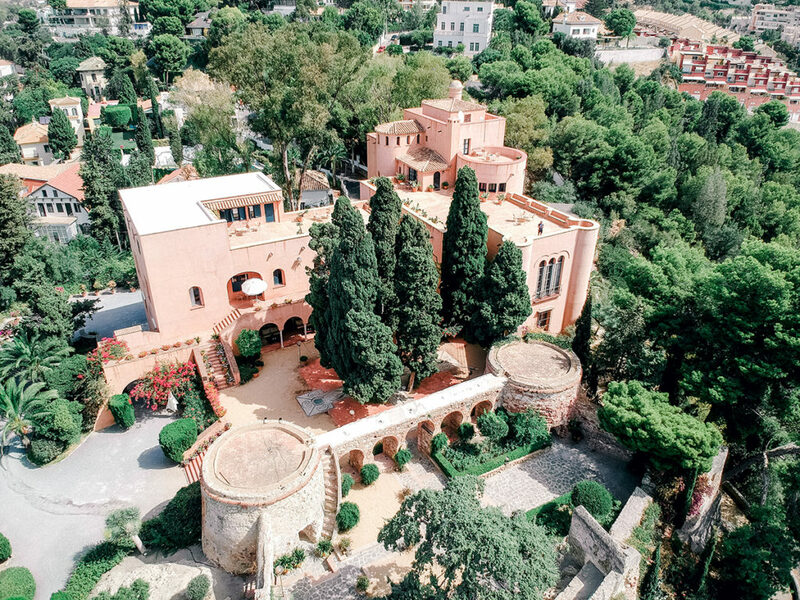 If combining urban chic with rural charm is the ideal wedding vibe for you, head out of the city to the Masia Girona and celebrate your wedding in style around the pool. 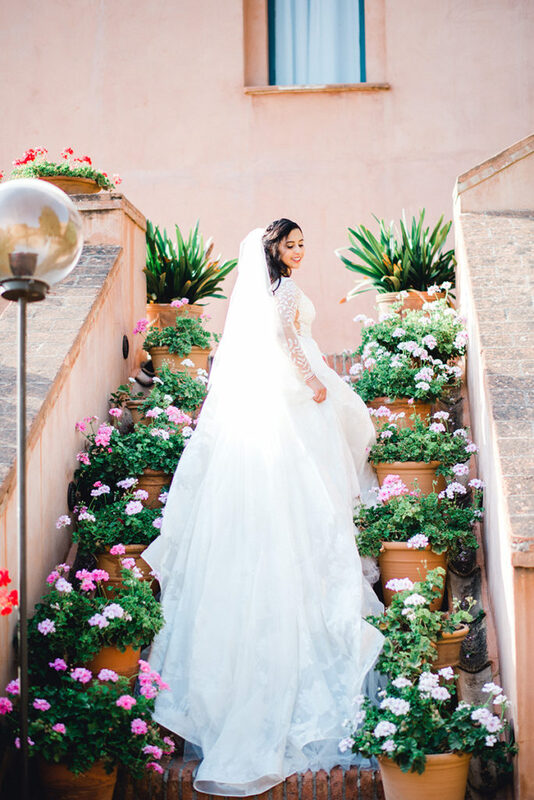 Picture the most romantic setting for your wedding and the beautifully restored convent the Palacio de Santa Paula will be at the top of your list. This stunning venue nestles in the old town of Grenada and is an incredible place to tie the knot in one of the world’s most exquisite locations. Or imagine saying ‘I do’ on a clifftop at sunset, or in a family owned vineyard, or even on the deck of a luxury yacht. In the Balearic Islands including Mallorca, Menorca, Ibiza and Formentera, anything is possible. Cap Rocat in Mallorca is a former military fortress by the sea that combines nature, gastronomy and the perfect setting for a stunning wedding overlooking the sparkling waters of the Mediterranean. Ibiza combines stunning laidback scenery with a serious party vibe, embodied by the wedding venue and hotel the Atzaro, which is set in a remote location where you’ll feel secluded in a luxurious setting away from the real world! Spain is an incredibly diverse country where every region has a strong cultural identity. Art lovers will head for world-class museums like the Guggenheim in Bilbao and the Prado in Madrid. The Alhambra Palace and Gaudi’s Sagrada Familia are unmissable and Valencia’s City of Arts and Sciences has daily cultural events to enjoy. The tapas ritual is a great way to get to know the Spanish way of life, or you can enjoy one of the many regional variations of paella and sensational shellfish and jamon. Head to the local tablaos for a passionate flamenco performance, or the bodega for a taste of the local sherry. Spain is well known for its wines so enjoy a Rioja, Albariño or glass of aromatic and delicious Cava to toast to your future happiness! The weather in Spain is as diverse as its culture, with different weather patterns between north and south and east and west. In Andalusia, the temperature can hit the high 30s during the summer months, and the Mediterranean beaches are sun-drenched from May to October. Spring and autumn are more comfortable months for a wedding when the temperature is less intense but the sunshine no less plentiful. Spain is notorious for its love of paperwork which can make arranging a civil or religious ceremony extremely complex. For many couples that means a civil marriage in the UK followed by a blessing or symbolic wedding in Spain. If you decide to get married in Spain visit the Gov.UK website for more details of the documents you’ll need to start the procedure. There’s full marriage equality so anyone can celebrate their wedding in Spain. Wherever you choose for your honeymoon you’ll create some incredible memories. Opt for a winter wedding in Grenada and you can head for the ski resorts of the Sierra Nevada. Your Mallorca wedding could be the ideal jumping off point for an exploration of the Balearic islands and a honeymoon on the party island of Ibiza. A wedding in Catalonia means it becomes a base for an exploration of everything this beautiful region has to offer including Gaudi’s Barcelona, unspoiled Girona and the idyllic beaches of the Costa Brava. Or surf, hike and cycle through the wild beauty of the Basque country. Spain is made for memorable destination weddings and equally unforgettable honeymoons. Matthew Oliver Weddings specialise in luxury destination weddings across Spain, with a network of suppliers across Spain and its islands that can help create your perfect wedding. Contact us today to start the journey to your perfect wedding in Spain.